Photos by Tracy Rosen, Lidyanne Aquino, Brad Fults. Sign up to get Lifehacker Daily to get tips, tricks & shortcuts in your inbox here. This post originally appeared on Lifehacker. This article is republished here with permission. Google’s Chrome browser is packed full of an incredible amount of extensions that add all sorts of functionality. It’s tough to sift through the store to find what’s useful though, so let us save you some time with this collection of our favorite Chrome extensions. For most of us, there is nothing more daunting than coming face-to-face with a blank page. Sure, a tabula rasa means you can take a project in any direction, but that boundlessness can quickly become overwhelming. This post originally appeared on the Help Scout blog. No matter what you do for a living, at some point or another you’re going to have to communicate how you feel about someone else’s work. On the surface, giving feedback may sound easy. It's easy to read and like the skills presented in this article, yet, very difficult to apply when you need them. (personaly speaking). 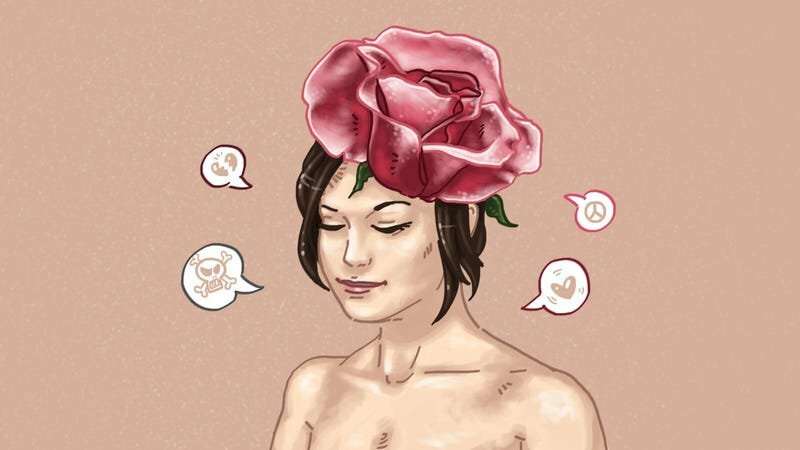 Very good article on #emotional #intelligence. When you start to get mad, get better instead. I should probably set a reminder to read this every few months. A promising field with lots of implications/applications in edu. Anyone teaching emotional intelligence in the classroom? in order to start making use of that motivation, you first need to identify your own values. Many of us are so busy that we don’t take the time to examine what our values really are. Or worse, we’ll do work that directly contradicts what we value for so long that we lose that motivation entirely. Some useful and interesting advice and information on this article. I think everyone will get at least one thing out of it, if not more. The advice about giving yourself a “jolt” is new to me. I’ll try it next time. Now appearing in schools around more and more which in my opinion is a great thing. This really makes you think and reflect yourself. This is very helpful for a dork like me (I think). Going through this piece made me find out exactly how I sometimes feel,and it really helped me,dealing with myself emotions,know your worth and the things you're capable of is one thing that can motivate you in life to face any situation you're in,to archiving your dreams,you be able to read and know your emotions! You can’t always control what makes you feel a certain way, but you can always control how you react. Read and heed this - it is an excellent article that will help you with life if you follow its advice. Emotional Intelligence is as important as breathing. Do yourself a favor and hop on this article! awesome piece and worth everyone's read. This looks awesome. I'm about to find out. Just as hoped for. So far so good. I found it extremely relatable. It has always been really tough for me to keep with my anxiety and the resulting temperament. It always lead to overreacting first and then self pityng. It's my man who helped me to overcome my situation. I want to thank him for what my parents or even teachers couldn't teach me all these years. For a long time, we have been taught that emotions are weak, that you should suppress them as much as you can especially in the workplace where masculinity and toughness are the way to go, but little did we know the power within Emotional Intelligence and the stability it brings. This is truly and insightful article. Great article. People tell me I suffer from Aspergers Syndrome or I’m Autistic. Usually, it’s people close to me, so they’ve seen my behaviour over time. However, what if it isn’t either but I never successfully learnt emotional intelligence? What if I’ve just never found a reason the change? That people put up with my emotional outbursts and lack of emotional control and lack of empathy because they loved me, imperfections and all? As a techie, I have always taken refuge in computers, software or other “intellectual” mental activities. So, instead of thinking that it’s a condition that cannot be changed, I need to take responsibility for trying these techniques. Having a set of practices pulled together is probably a once in a lifetime opportunity to become a good person. My computers don’t care if I change. It’s the humans around me that do. I agree, we are always taught about numbers and external matter, we are barely taught about handling, altering and understanding our emotions. Empathy is hard, but virtually every relationship you have can be improved at least marginally by waiting at least an extra ten seconds before you retake the conversation.